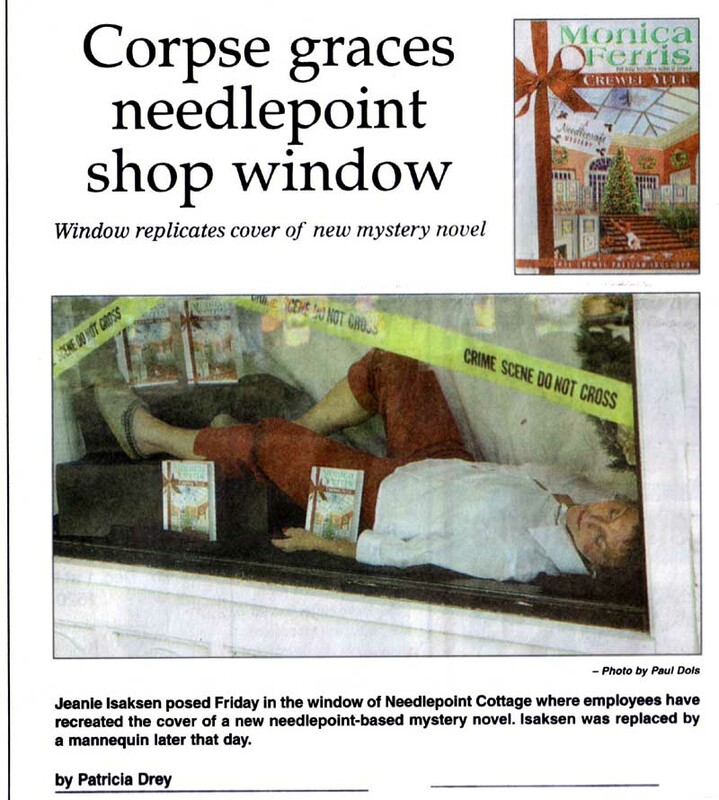 Needlepoint Cottage staged the cover of Crewel Yule as a shop window! 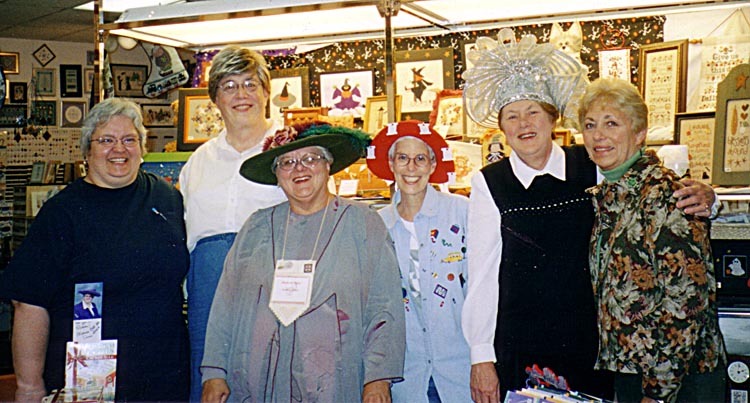 And here I am at Fibers and Frames, down Milwaukee way, with Ellen (my faithful roadie) and all the crew from the store. And here are the places I went. Tours can take quite a bit of travel! This one involved traveling on a relatively small jet plane to get back and forth. A thunderstorm also made an appearance, diverting the plane. held at The Convention Center.